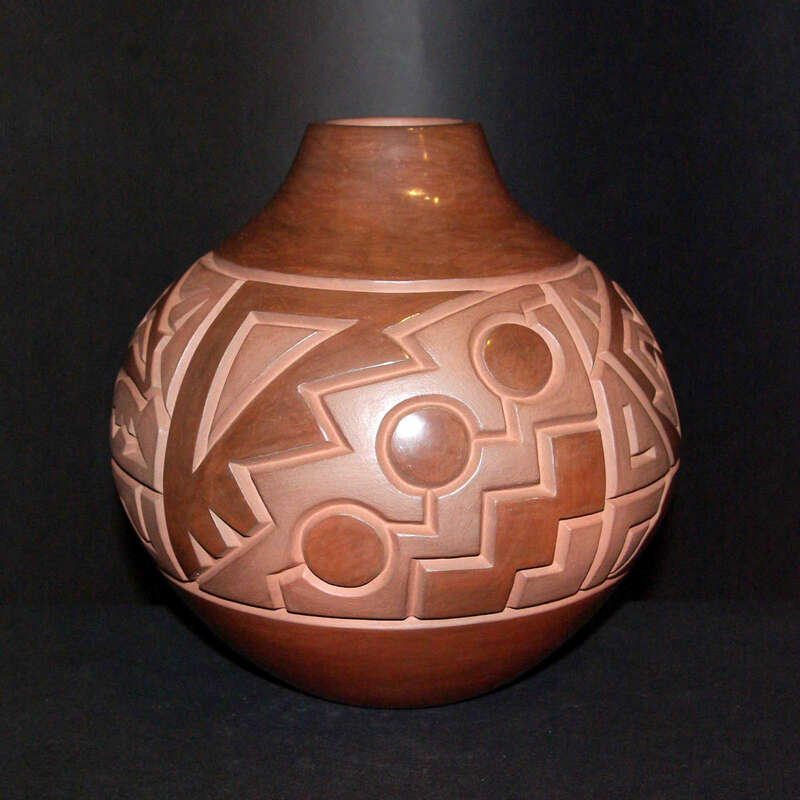 Harrison Begay Jr. is a Navajo who married into Santa Clara Pueblo. 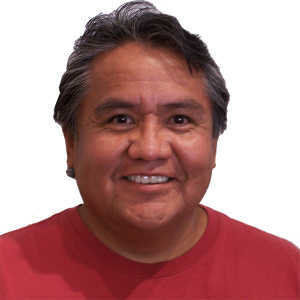 Daniel Begay is his son. 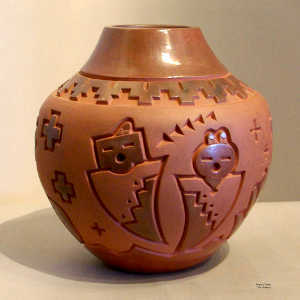 Harrison Begay Jr. was raised in the small Navajo community of Jeddito, near Keams Canyon, Arizona. 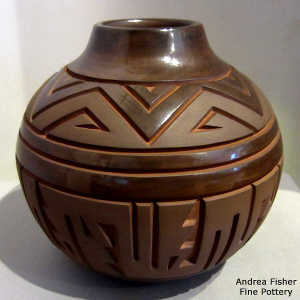 While he was in college, he studied to be a painter in a fine arts curriculum. 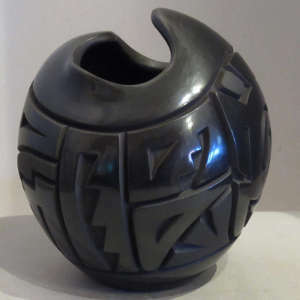 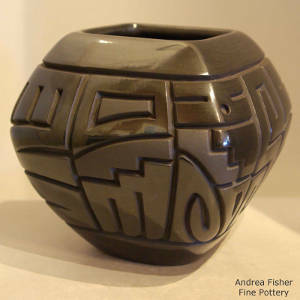 After college he turned his attention to pottery and began to enter his pieces in numerous shows, winning major awards from the '80s until the present. After marrying into Santa Clara Pueblo, he learned the New Mexico pueblo style of pottery from his mother-in-law. 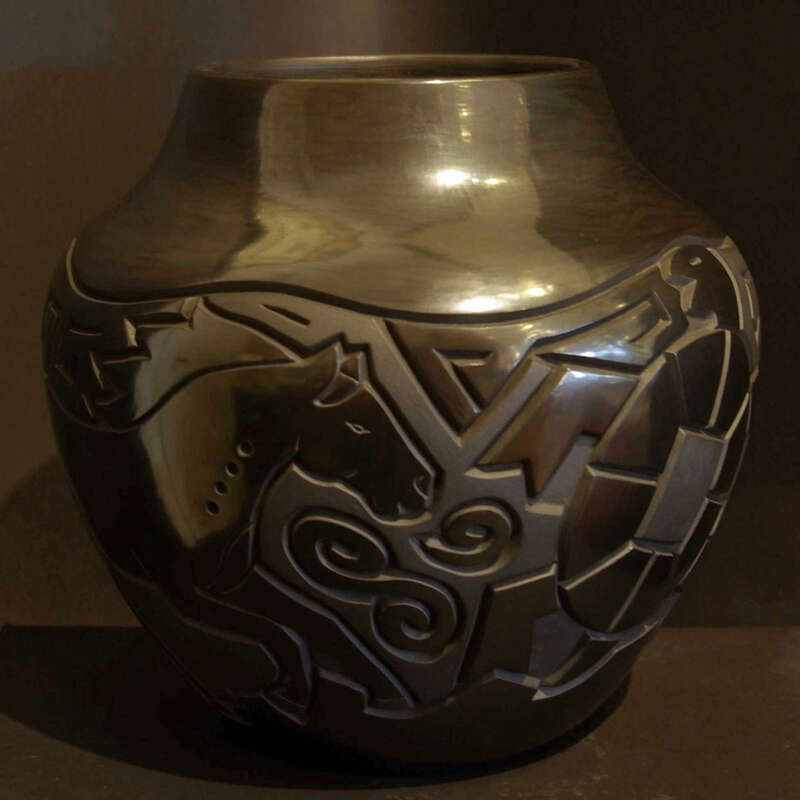 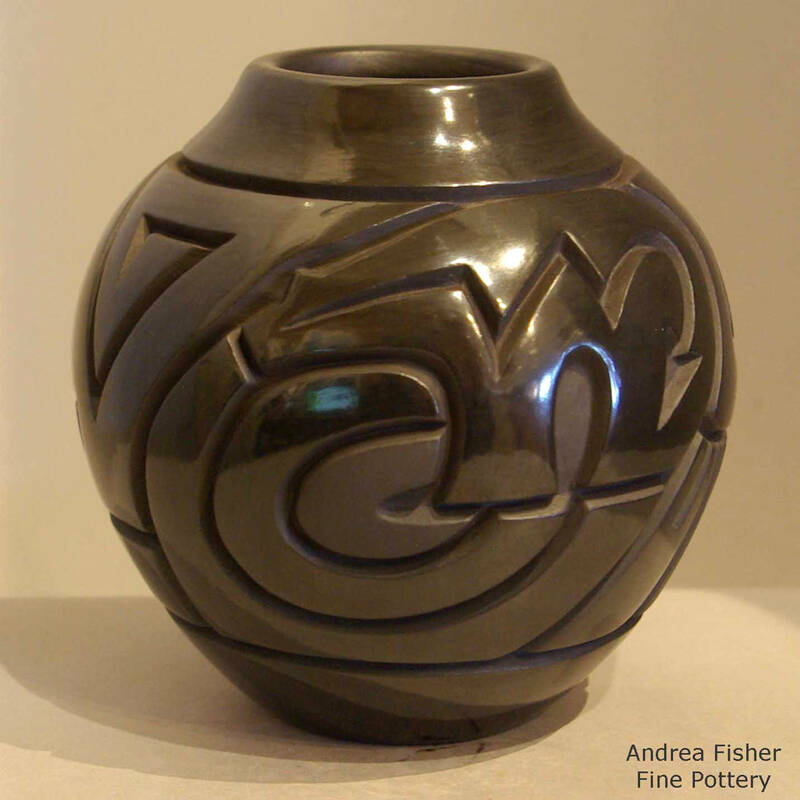 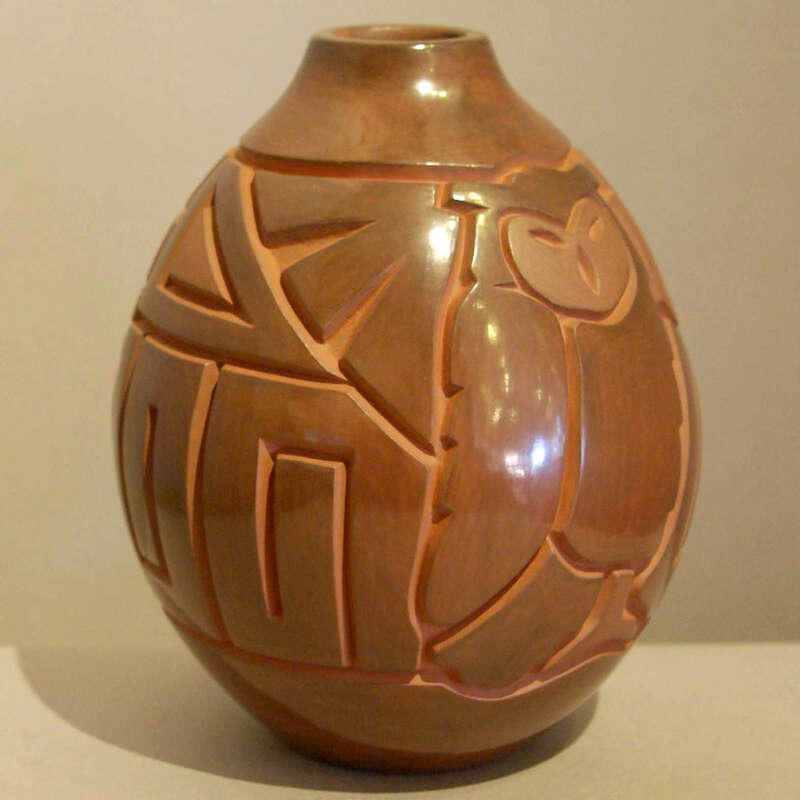 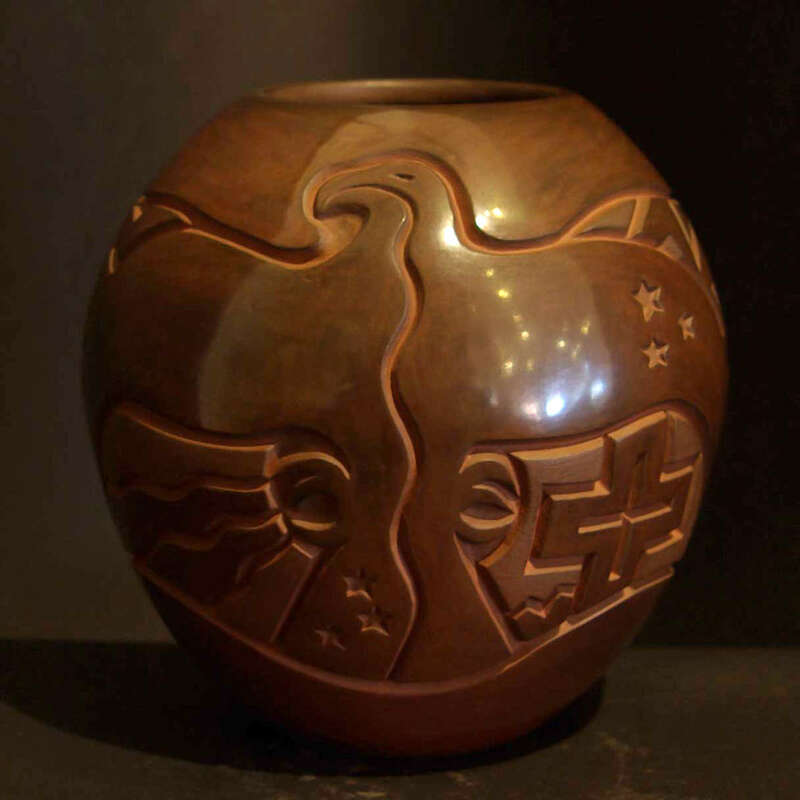 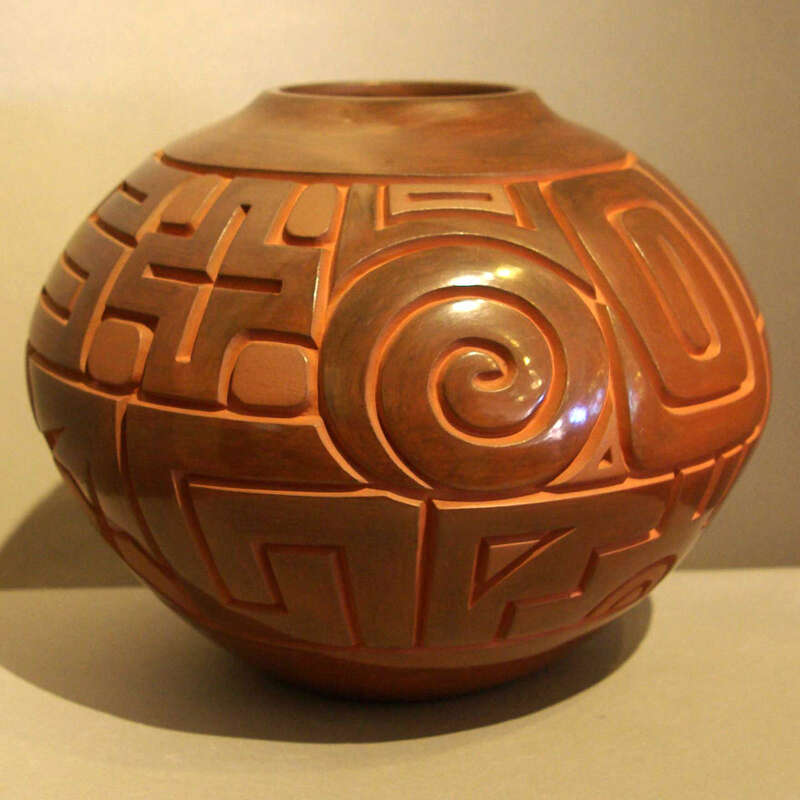 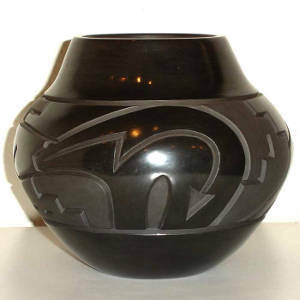 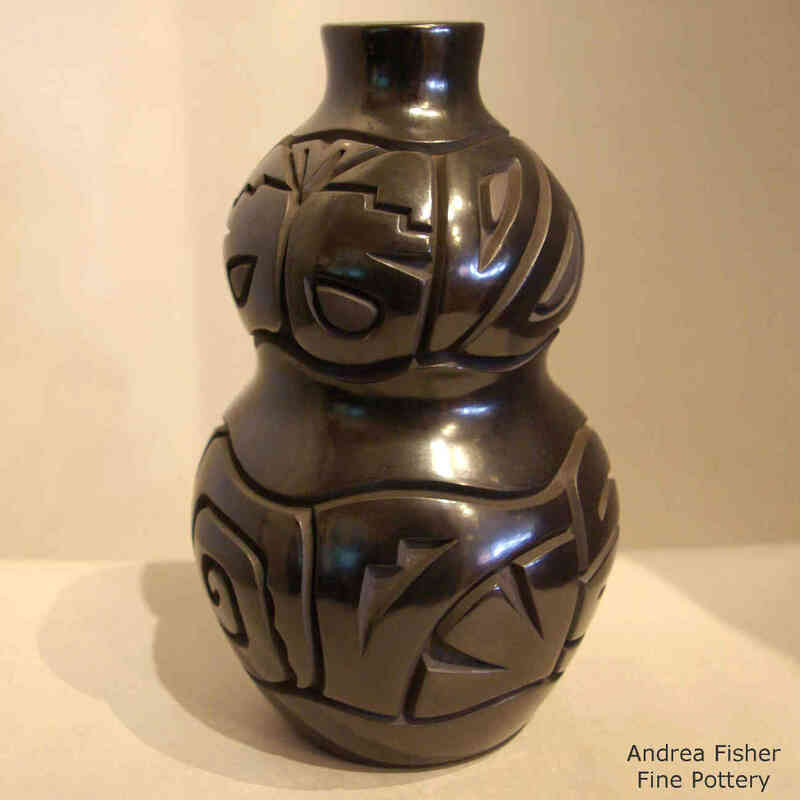 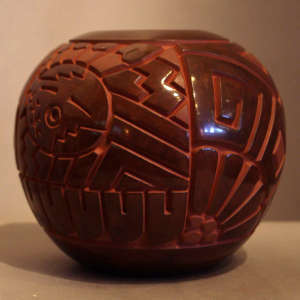 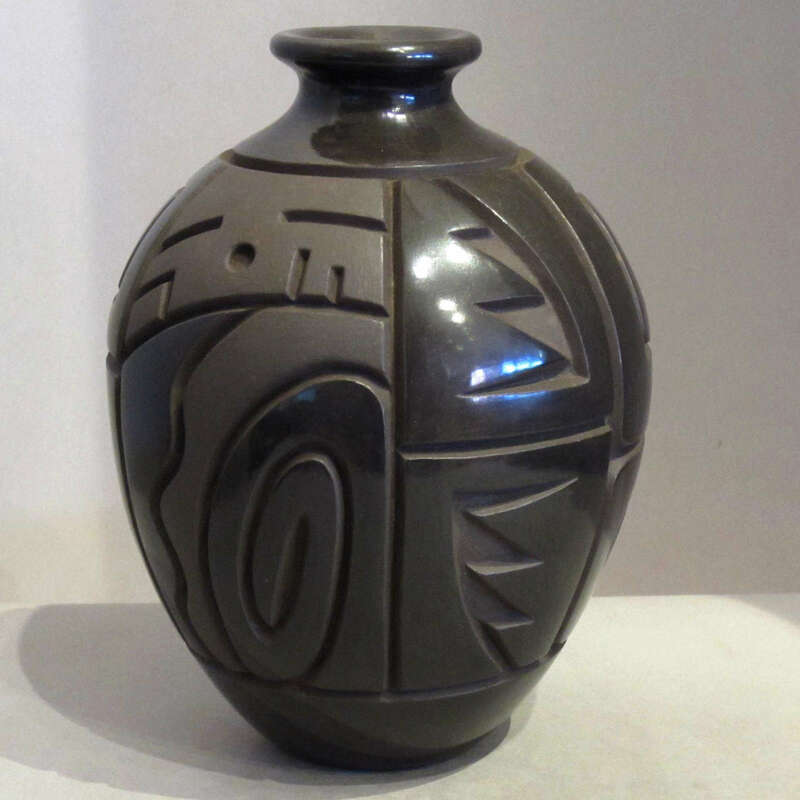 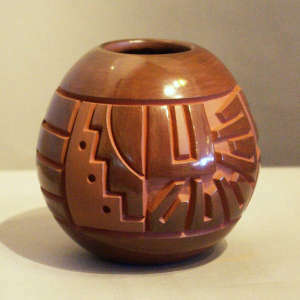 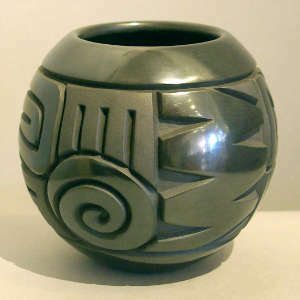 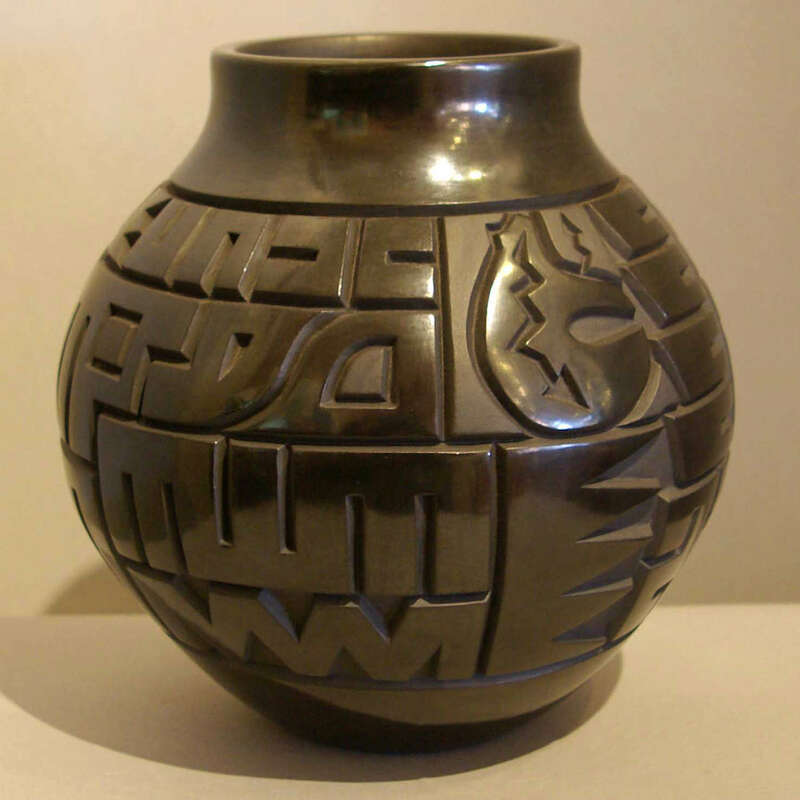 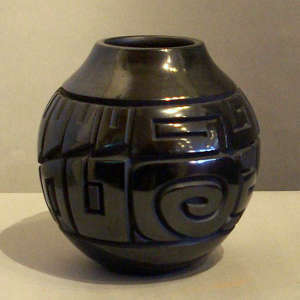 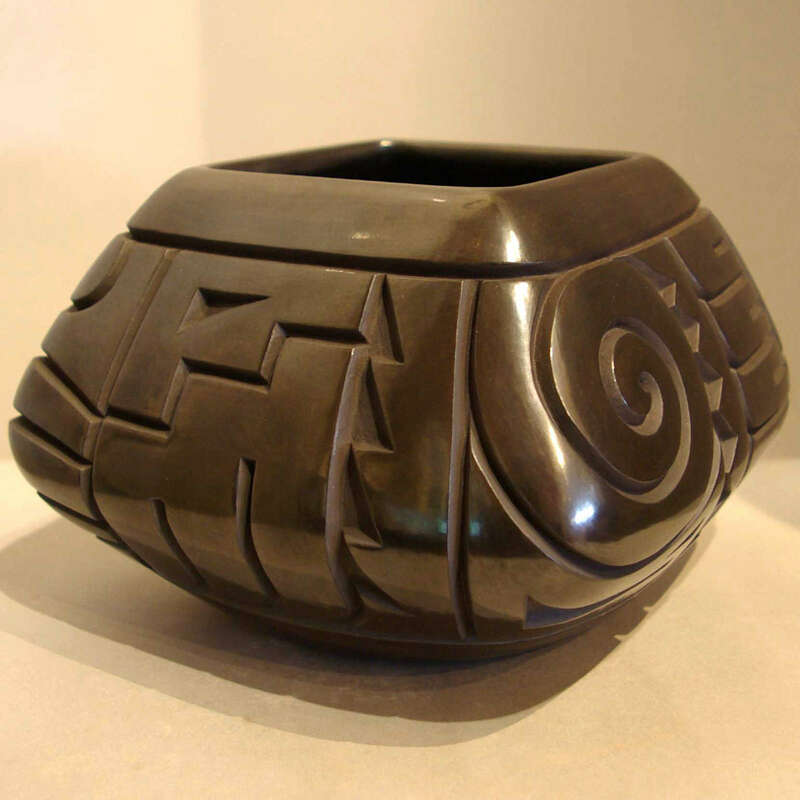 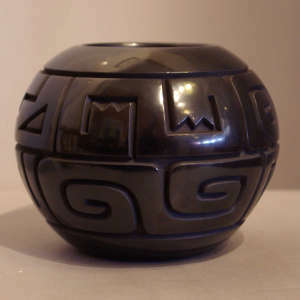 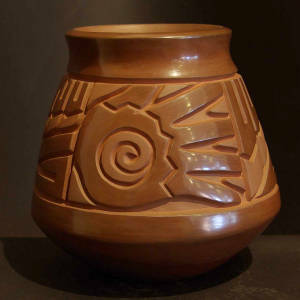 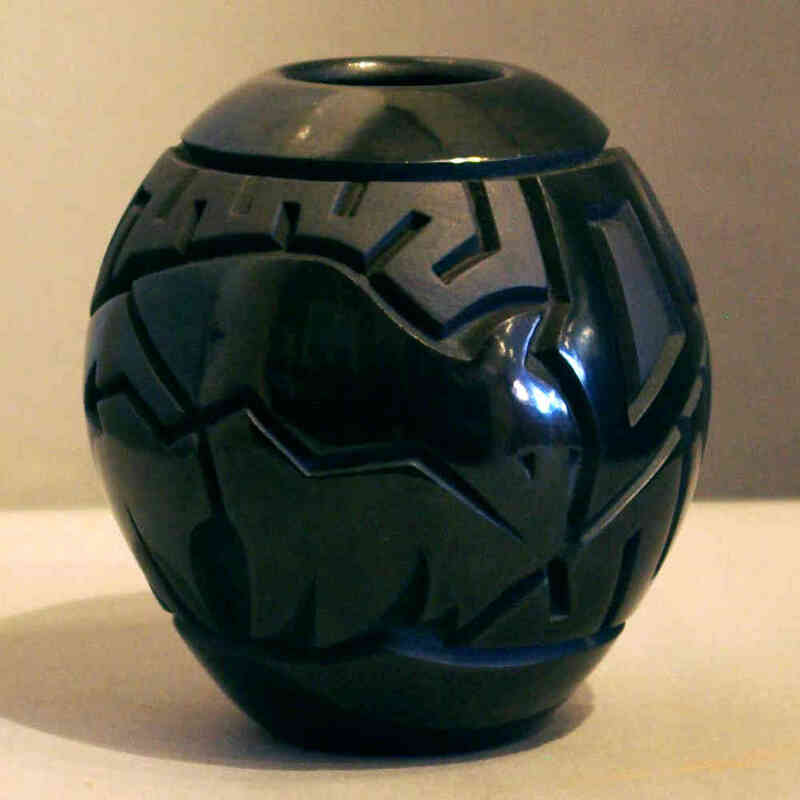 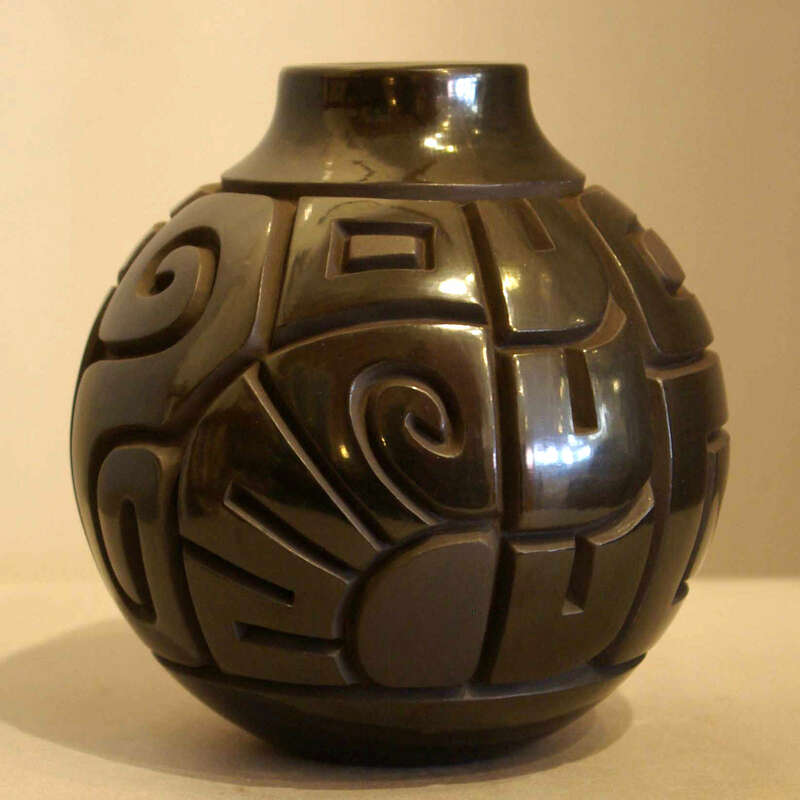 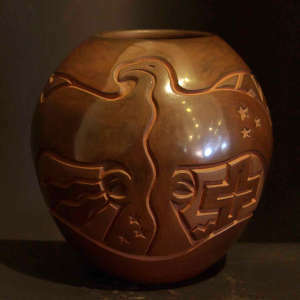 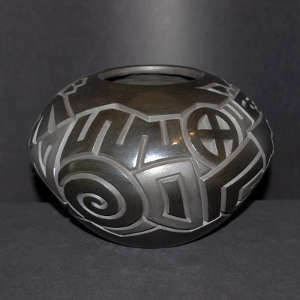 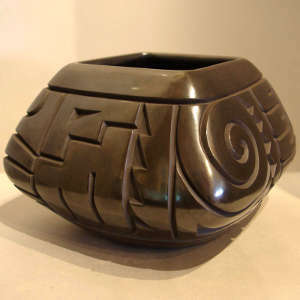 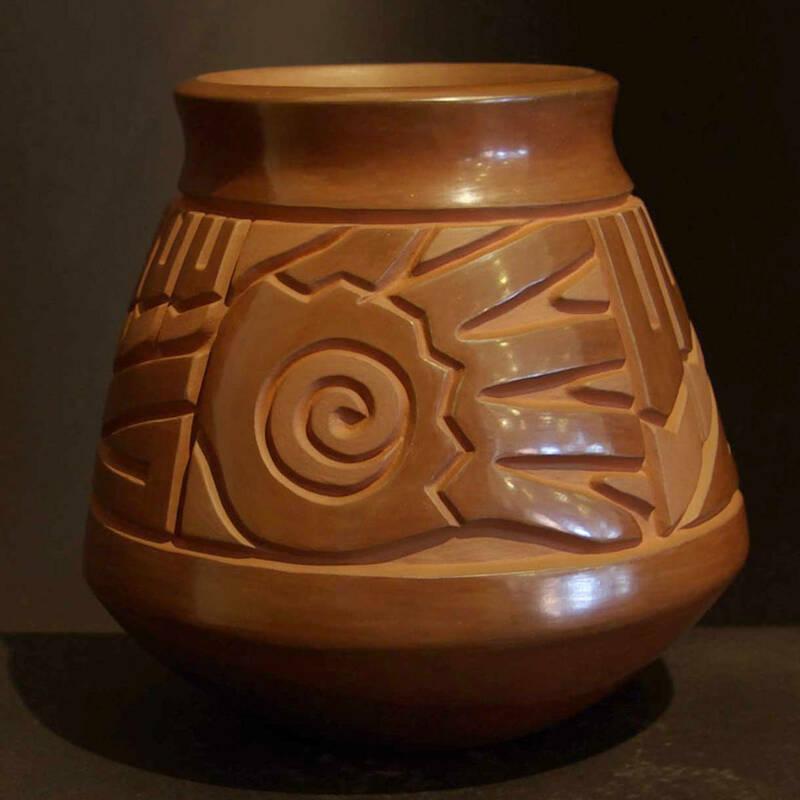 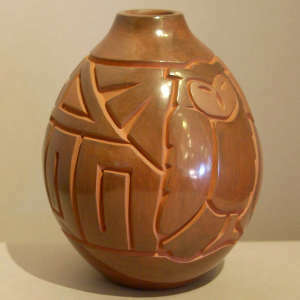 His pottery with beautiful incised and polished Navajo designs includes black, red and brown-fired pots.